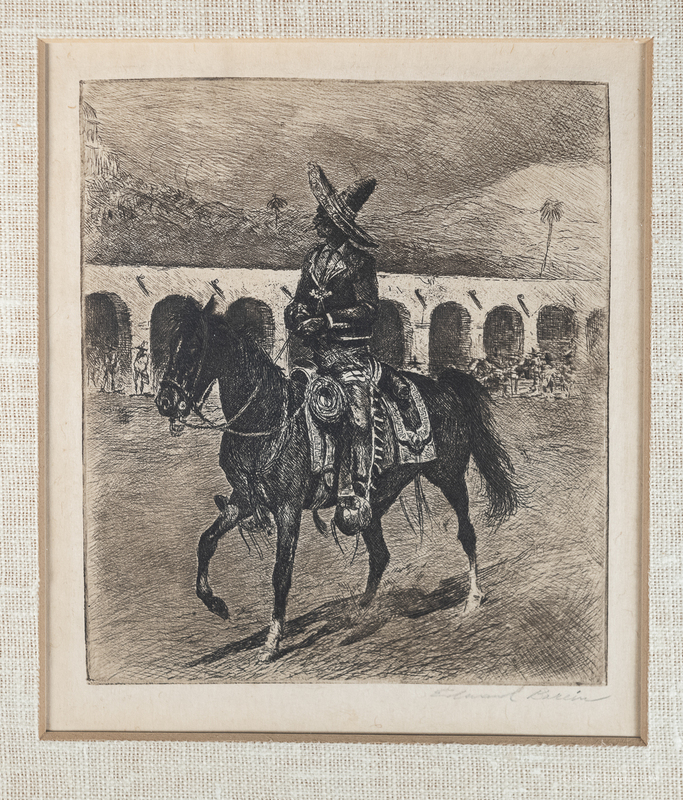 I am so pleased to announce that the gallery has been entrusted to sell a wonderful collection of western art including etchings and original works by Edward Borein, Maynard Dixon, John Moyers, Olaf Weighorst and Joe DeYoung as well as others. There are over forty pieces in this collection. Please check my Borein page in the next couple days as I am cataloguing the large collection as we speak and it may take me a day or two to price and title all the pieces and to finish up. Everything is elegantly matted and framed and I am so very excited to have it in my gallery. Some of the Boreins are rare and highly prized. Don’t miss them.